Cannabis originated in the Himalayan foothills and is now found all over the world. Until recently most of the genetic flow was one way. Seeds were carried to a new location. The plant adapted to its new environment in two ways. First, human pressure when growers selected the most vigorous plants that served their purpose. The second influence was the environment where plants adapted to latitude and climate. This increase in diversity has been going on for thousands of years. Plants evolve, with each generation better adapted to its new homeland or growing conditions. Varieties look different, thrive under different conditions, and produce vastly different profiles of cannabinoids and terpenes. It is only since the 1960s that breeders have been breeding the landraces to combine and modify their characteristics. 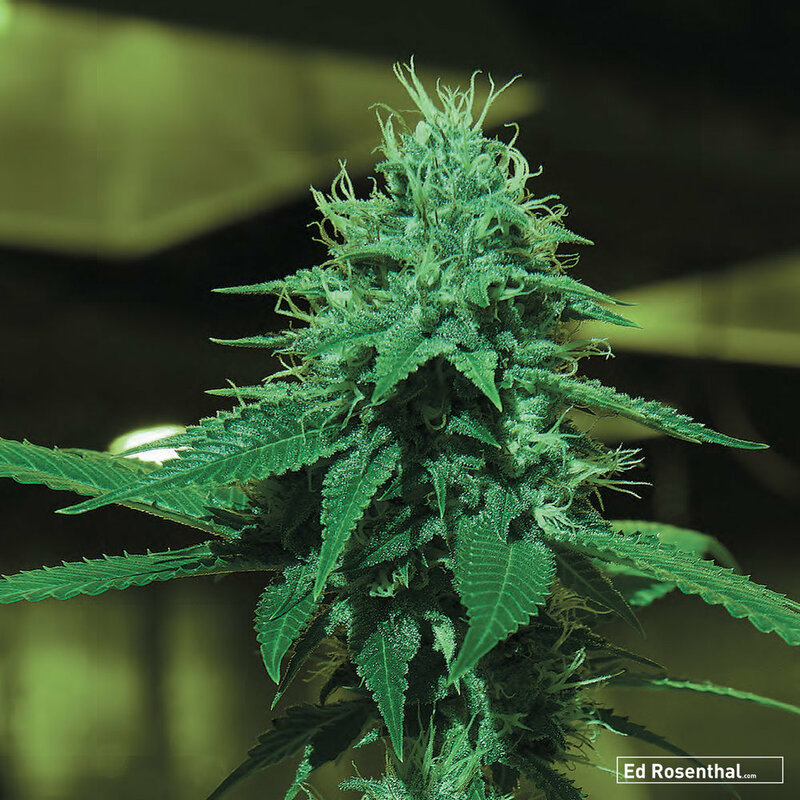 The first wave of hybrids focused on manipulating cannabis to flourish indoors under lights. This was a counter measure to increased repression during pothibition. With legalization, hybridization has advanced; breeders now target for specific properties. As we have more scientific research about this plant and its components, we can create varieties to target specific medicinal, mental, and physiological effects. Modern hybrids have complex parental histories. So many varieties have been crossed that it is a great mix-up resulting in many effective new combinations, so it is impossible to generalize about the qualities of their effects as well as taste and aroma and growth characteristics. Indica-Sativa hybrids tend towards the Indica side of the blend in their size and structure. Their size and structure is a combination and compromise between the two groups leaning Indica. Their growth after forcing flowering is just a bit more than Indicas, which may grow only 10%. Indica dominant hybrids grow 15-30% taller and wider with narrow side-branches. This makes them excellent candidates for small space cultivation. Sativa-Indica hybrids have more Sativa-like characteristics. They may grow 50% taller after forcing. Some S-I hybrids grow to double or triple their size when they are forced as small plants. Some varieties are harder to grow under lights and difficult in a sea of green without pruning because of the plants’ space requirements. However, the Indica genetics do influence the plant size. The Indica genetics also results in earlier flowering and ripening, and the density, shape and size of buds. Aside from striving for perfection by fiddling with the plants genetic variability, hybrids provide the cultivator with another advantage—Hybrid vigor. When plants are crossed the progeny has more vigor and often has higher yields than either of its parents. Ultimately, if you are philosophical you might ponder this: When you grow a hybrid, you are inheriting the wisdom of breeders who worked all over the world for thousands of years, combined with the passion of modern seed breeders who use their forbearers creation of landrace genetics as ingredients for their new alchemy. When the famous TGA breeder Subcool decided to discontinue Plushberry, the breeders at Dr. Underground did not understand why. The strain was one of their favorites. They had a few packages of original Plushberry seeds acquired over previous years from shops in Spain, so they got down to work recreating it. Dubbed American Beauty, it carries the full Plushberry genetic heritage, including elements of Space Queen, Black Cherry Soda, Romulan, and the famous Cinderella 99. This delicate fruit in the form of cannabis is a perfect combination of Kush and some hints of pineapple from Cinderella 99. American Beauty grows as you would expect of a 50/50 hybrid, branching easily, exhibiting beautiful shades of color, and popping out buds full of resin. Buds show some foxtails, and you’ll notice that vegetative leaves bow up initially then return to normal in flowering. Big containers of soil generate the best results outdoors, while aeroponics is the recommended method indoors. This uniquely aromatic strain presents as two similar pheno-types — the first showing the reds and purples of Black Cherry Soda, the second having a bit less color but larger, denser buds. In both cases, plants grow very vigorously, resist mold, and produce a moderate yield. American Beauty does not reveal her special berry-drenched skunkiness until you break open the bud. Once you do and fire it up, you get the full, super-tasty flavor spectrum of blackberry jam and cherry soda with a touch of pineapple sour. On the stone, the Indica dominates, relaxing body and mind in equal measure. This is an excel-lent strain for managing stress. Animas Seed Company - 60 S / 40 I - Alert, electric, trippy - Chocolate, woodsy, spice. The Brotherhood is the Animas Seed Company’s stunningly strong Sativa-leaning hybrid, the offspring of a Slick Willy mother from Colorado crossed with an Icarus male of Afghani heritage by way of Colorado. The Slick Willy mother is herself a cross of a Bubba Kush/Chem 91 x The White/Chem 91, while the Icarus father marries William’s Wonder and Armagnac. This pungent and nearly hallucinogenic strain was developed for, and named in honor of, the breeder’s good friends, The Chris Robinson Brotherhood, the psychedelic rock ‘n’ roll band from California. Ideal for indoor gardeners seeking top-potency genetics, this multi-branch strain grows squat and bushy despite its Sativa dominance and boasts an incredible crystal content. These plants appreciate Screen of Green training and thrive with a blend of synthetic and organic nutrients in generous quantity. Flowering takes 9 weeks on aver-age, finishing at an unpruned height of between 3-4.5 feet (1-1.5m). No special ripening techniques are needed, but colder temperatures at finish bring out the purple. The bulbous, frosty flowers are so white with trichomes they look like they have been rolled in sugar, with purple hues peeking through. Even the thick, dark-green foliage show early trichome development… all the way to the tips of the fan leaves. This fairly hardy plant adapts well to varying conditions, handling cold, heat, and drought, and some phenotypes resist powdery mildew. Her forgiving nature makes this both a good beginner’s strain and a sound choice for commercial cultivation. On the nose, The Brotherhood has a clean, earthy aroma with fuel undertones. The creamy flavor is nearly doughy with a nice balance of spicy and sweet that has chocolate and coffee notes. One of the strongest strains available, testing at 34% total cannabinoids and more than 29% THC, The Brotherhood nonetheless imparts an active, alert high that stays surprisingly functional. The trippy electric energy is modulated with a blissful under-current that also carries a bit of eye droop. Dutch Passion - 50 I / 50 S - Balanced, cerebral, peaceful - Earthy, spicy, citrus. 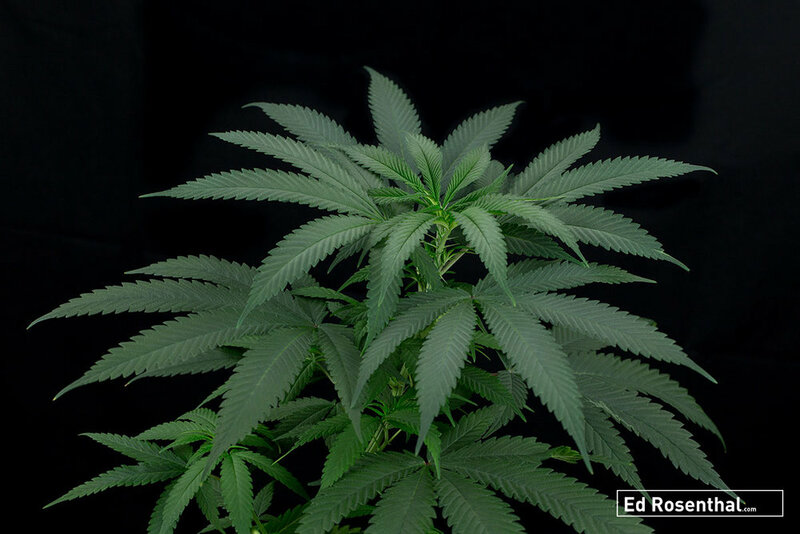 Available since 2007, Frisian Dew is the high-yield offspring of a potent, easy-to-grow Super Skunk mom that came out of the Dutch Passion Skunk breeding program of the 1980s. Her Purple Star father was selected from a purple strain noted for hardy, robust growing in outdoor conditions. 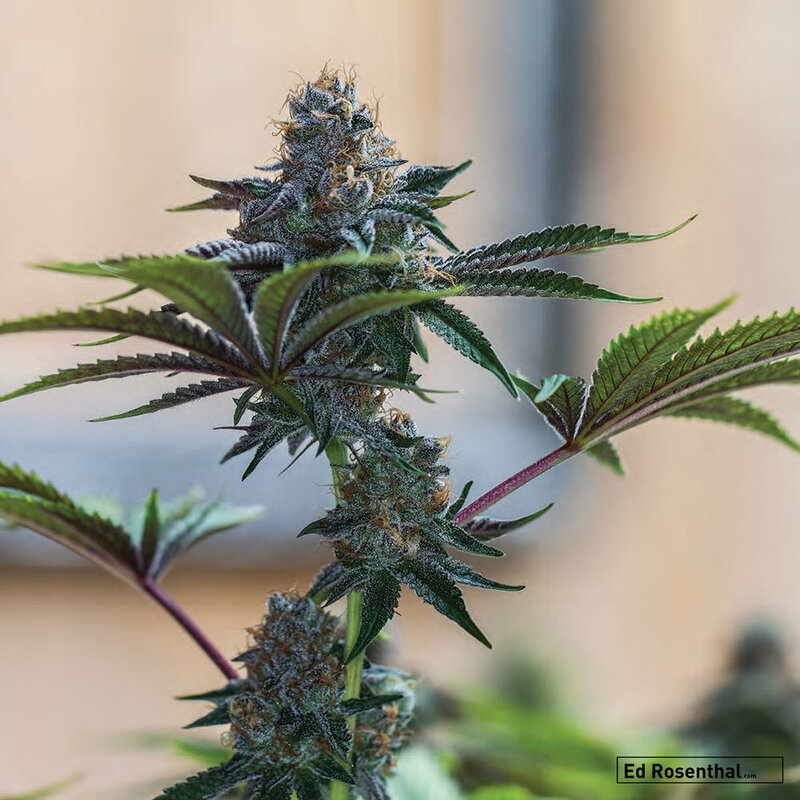 The award-winning Frisian Dew took several years of clone selection and selective breeding to stabilize, and is now Dutch Passion’s most popular out-door variety. Carefully selected for outdoor conditions in Holland, the name stems from an ancient Germanic ethnic group native to the coastal parts of the country. Frisian Dew is a prolific producer of delicately colored, pink and light-purple buds with a density neither too tight nor too fluffy. Her large, thick leaves turn purple in some growing conditions, and buds on outdoor plants can be quite large. Frisian Dew has been bred with a tolerance for outdoor conditions, but she can be grown indoors, too, of course. This branching plant will take all the space allowed, starting with a broad-base until it starts to stretch. Unpruned, Frisian Dew looks quite gangly with a main bloom that will reach great heights. Don’t bother prun-ing outdoors — leave her to her own devices and watch her go. The pistils are often pink, as are the trichomes in some plants. This strain needs amply nitrogen in vegetative growth to maximize height — 9 feet (3m) is an average, while 12 feet (4m) is possible in the outdoor sun. Flowers are ready after about 8 weeks of flowering, or start of October outdoors. Yields are bountiful, with some growers reporting up to 5-6.5 pounds (2-3kg). The aroma of Frisian Dew is mild to medium, while the flavor is earthy spice with hints of citrus and fuel. She generates a strong, fast-acting, quality high that is balanced and builds quickly. The feeling is peaceful and relaxed with a floating, detached, anesthetic effect. Strongly cerebral, this strain is not the best for socializing with crowds or groups that include straights, but it is a good choice for movies and simple pleasures. Dr. Greenthumb’s GSC, or Girl Scout Cookies, variety was sourced for them by cannabis legend Jim “Dogless” Ortega. GSC was bred from an OG Kush mother that is a Chemdawg x Hindu Kush cross from California, while the Cherry Pie father is a cross of Durban Poison from Africa and Grand Daddy Purple from the U.S. This strain grows enthusiastically indoors in hydro or soil. Sea of Green technique can be used, but plants grow fairly tall and generate lots of branching. This strain can produce amazing trichome coverage on sun leaves. Plants respond well to all the typical ripening techniques, so as dark period increases with some phosphorus and calcium and a temperature reduction boost the blooms. Plants can turn purple and start looking like a shorter Indica plant but stretches a bit. Finish time is late October. Loud Scout turns up the volume on a classic strain. This Northern California strain captures the desired traits of the original Girl Scout Cookies with an improved yield and unique flavor notes in a strain that tops the scale for potency. Loud Seeds created Loud Scout by crossing a GSC mother with a Platinum OG Kush father, and selected the phenotype based on yield and aroma. 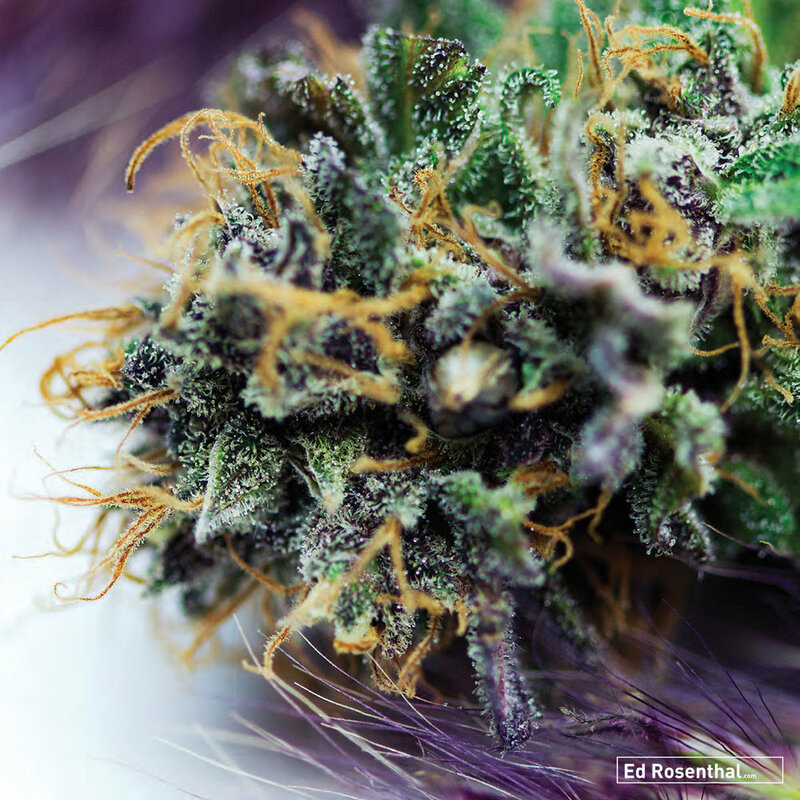 Loud Scout is a bright to lime-green plant with moderate node spacing, purple tint in flowering, and compact, bulbous colas like swollen pine cones. She grows well as multi-branch or using screen of green in any medium, indoor or outdoor. Plants have an upward, asymmetrical shape that requires regular de-leafing of the undercarriage to achieve optimal flower size and structure. Be alert for some hermaphroditic tendencies, which can be mitigated by providing ideal conditions and climate. Drop the nutrient regimen slowly. This plant can reach 8 feet (2.4m) when unpruned outdoors but will cooperate at smaller sizes when grown indoors. Yields are moderate. Loud Scout smells of licorice, berry, pine, and musky cherry. Flavors are earthy and creamy with black cherry tea notes. On the smoke, effects are quite strong and long lasting with a bit of couch-lock, increased appetite, and good pain relief that medical users appreciate. Body relaxation and heady, narcotic intensity dominate. Recovering from hard activity and sleeping are good activities for this strain, cour-tesy of the 28% THC and 2% CBD in the cannabinoid profile. 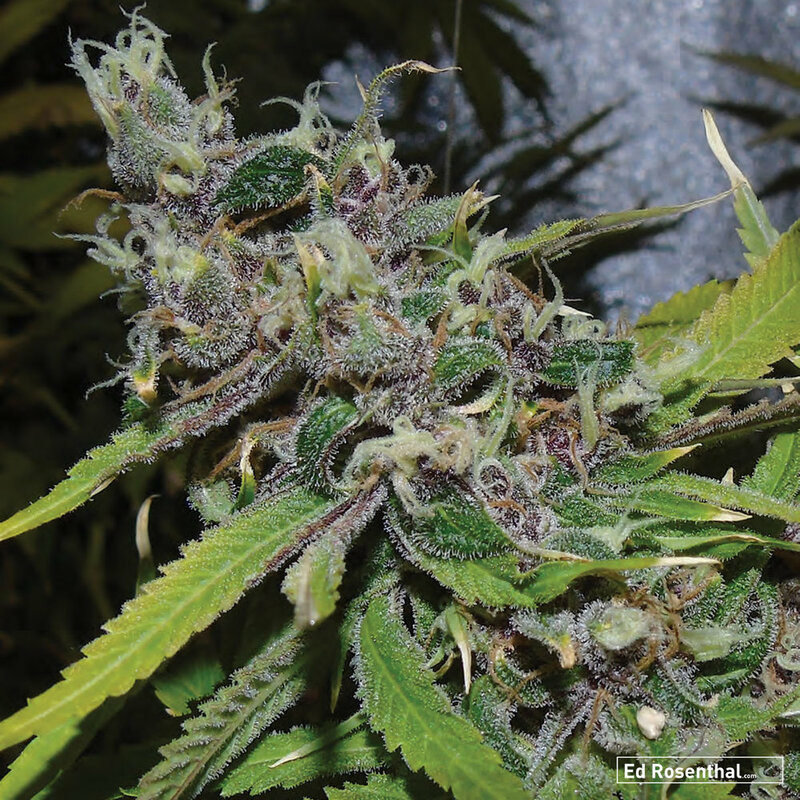 To create Miami Blues, breeder Jollymon crossed a Miami White mother (White Widow x OG Kush from Florida), with DJ Short’s Blueberry from Oregon (Oaxacan Gold x Chocolate Thai x Highland Thai x Afghani). The Miami White mother is a beautiful girl to behold but lacked an enticing aroma. Adding Blueberry genetics lent a distinctly sweet smell and calmer effect. Over 200 seed starts were grown and observed in the breeding process, with the most desirable selected for the release of this variety. 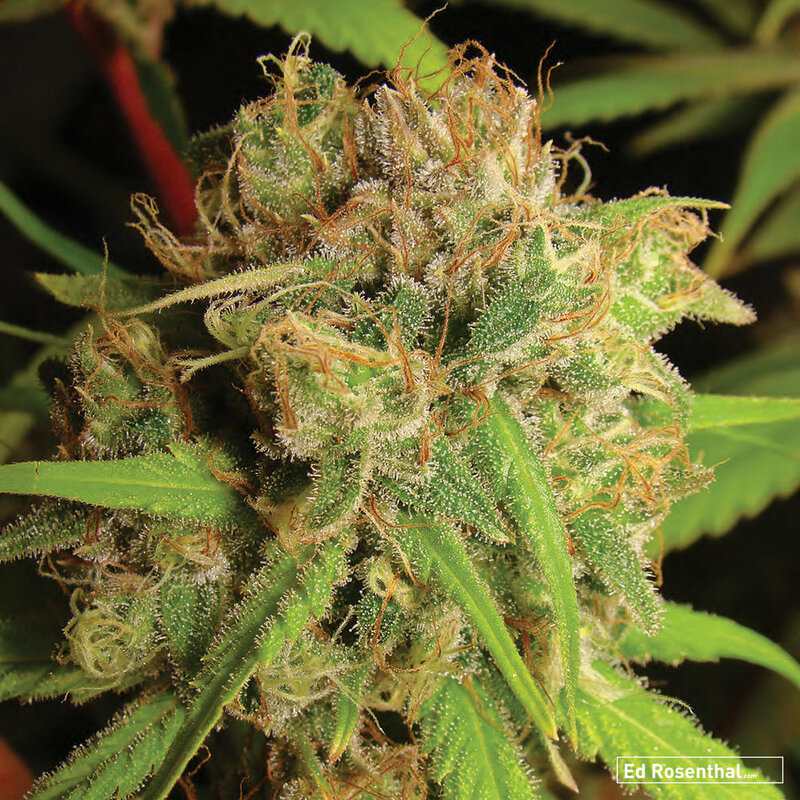 Miami Blues performs best indoors with light-deprivation grow styles in any medium. The slow vegetative growth of this plant leads to smaller plants with lots of branching. Unpruned plants will stay bushy and branch excessively, so Loompa recommends pruning to thin and space. Sea of Green will also work. Lowering the grow room temperature by 5-10 °F (2.5-5 °C) during final flush reduces the stress from lack of nutrients. The dense, sticky buds of Miami Blues emit strong aromas of sweet blueberry with a fuel undertone that surfaces after the blueberry fades. Taste is sweet and sour with a pungent, fruity, fuel flavor that has a candy berry finish. The long-lasting high of Miami Blues is alert and ready for action, cheerful and clear with a blissful, body-relaxing effect. Happily euphoric, this strain is well suited to social fun of all sorts. Released in 2012, Strawberry Banana is the award-winning offspring of a Banana OG mother (Banana Kush x OG Kush) from northern California crossed with Serious Seeds’ Bubble Gum strain from Amsterdam. 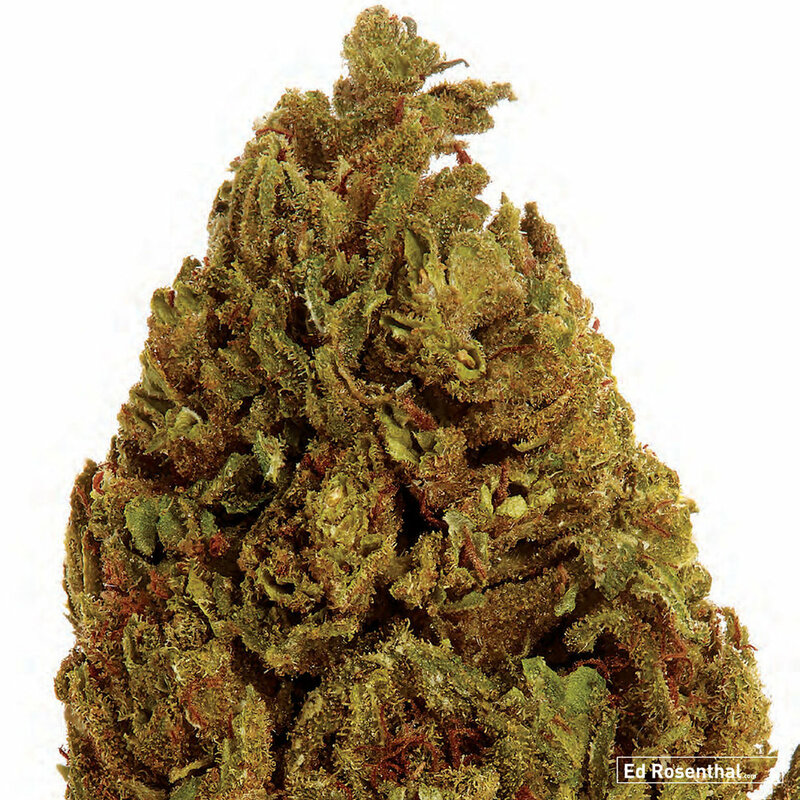 The fruity result is an extremely resinous Sativa-dominant hybrid that emits a strong strawberry smell in the garden. These plants thrive indoors when grown in soil with organic fertilizers. Strawberry Banana’s classic conical shape can reach up to 14 feet (4m) requires some management, with the breeder recommending multiple toppings — though not the banana-split kind. Indoors expect 6-9 feet of height and medium to high yields. Her thick, large leaves feed resinous, spear-shaped, dark-green buds featuring bright red hairs. As with many varieties, flushing for 10-14 days pre-harvest improves the final product. Flowering averages 60-65 days indoors, or between October 15-30 outdoors in California. Her vigor, ease of cultivation, and resistance to rot makes this a good choice for anyone from beginners to commercial gardeners. Plants handle cold and heat fluctuations fine, so long as they do not get too dry. Strawberry Banana lives up to its name with an assertive aroma of sweet straw-berry fruit and a flavor that combines strawberries and hash. The long-lasting high features a functional, inspired effect that comes on fast and strong then tapers slowly. The strain accentuates euphoria, happiness, and contented feelings, complementing nearly all outdoor activities, art, and moments of relaxation. You may get some munchies and eyedroop, and it is not the ideal strain for focusing or difficult physical tasks. Sweet Tarts is a balanced Indica-dominant cross of a Derbs mother from South Africa with an Orange Tahoe father from NorCal. The Derbs was a selectedDurban Poison S1, while the Orange Tahoe was the winning selection from an old-school Cali-Orange crossed with Tahoe OG. 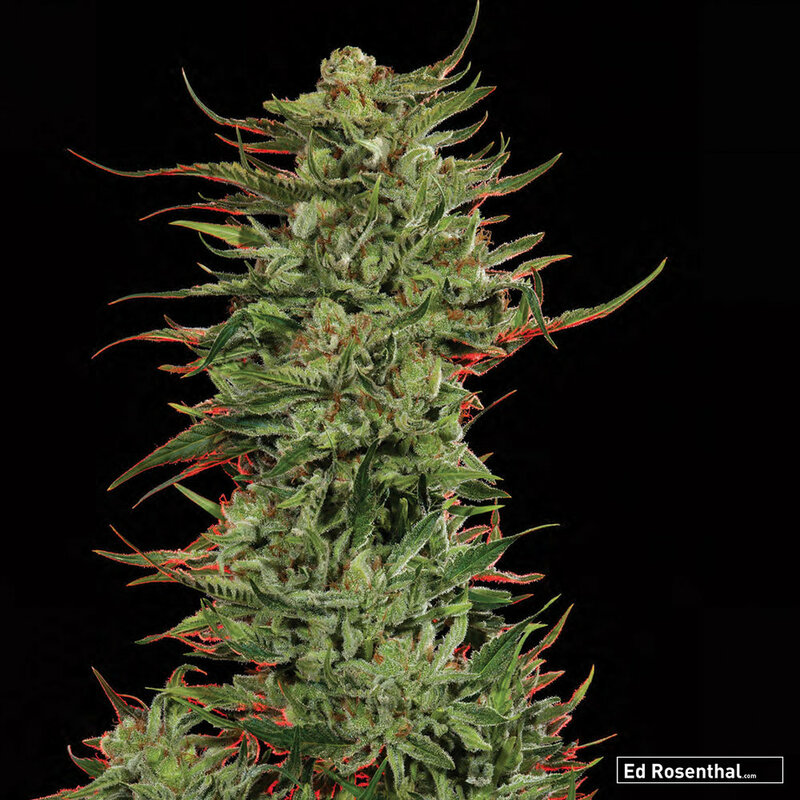 The goal was to blend an exotic landrace variety with some new favorites from the Orange and Kush families. Sweet Tarts thrives indoors or out, with a predilection for the outdoor climates of Northern California and the Pacific Northwest. These exceptionally vigorous plants do best in soil, branching enthusiastically, though her speed from clone to harvest makes her well suited to hydro and Sea of Green cultivation. Trellis netting is the breeder’s recommended method. Left unpruned, plants grow out to a classic cone shape and can exceed 15 feet (5m) in height, with 5-8 feet on outdoors and 1-3 feet indoors. She responds well to topping, supercropping, and defoliating, so don’t be shy with the clippers. The dark hunter green color of the thick leaves fades in flowering to a light lime, but then at finish the darkness returns, with some phenotypes literally fading to black. Her compact, bulbous buds range in color from light lime to black-purple, but show high-contrast bright orange hairs amidst the trichomes. 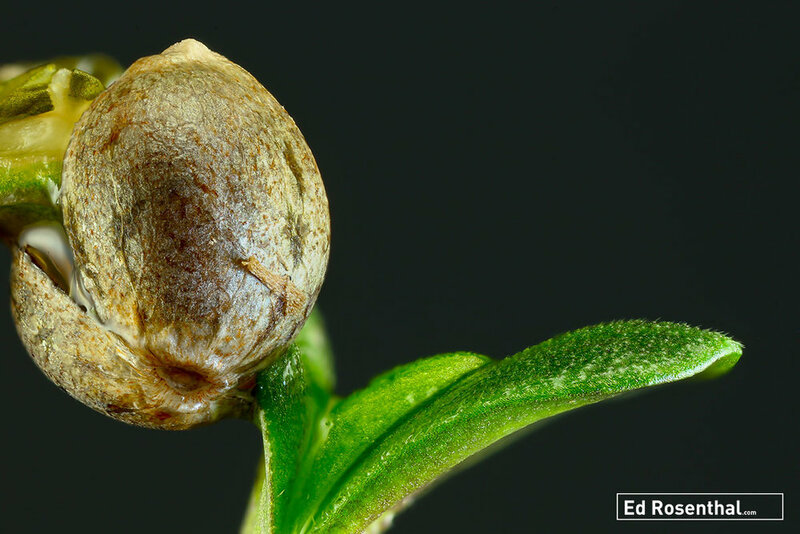 Calyxes can look like they are eating each other, and tops can fill out to the size of 16 oz water bottles. Lowering temps can coax out even more color, but don’t go below 65 °F (18 °C). Less is more with nutrients, and don’t rush your flush – water only for the last 2-3 weeks. She prefers heat but tolerates cold and resists pests and disease. Plants typically finish in 56-63 days indoors or mid-September at 39 ° North, but some phenos will ripen in as few as 49 days The astringent garden aroma can require management, but Sweet Tarts’ forgiving nature makes this is an excellent choice for beginners. Yields can be very high with the proper technique. The acrid aroma is so powerful you can almost taste the terpenes, though the character of the smell differs from phenotype to phenotype, with notes of Orange and Kush. What comes through on the palate is a flavor that is both sweet and tart. The Indica-Sativa balance relaxes body and mind though the Indica effects dominate as dosing increases. Generally, a clear, happy high that leans to the euphoric, making it great for social events. An internationally renown strain, White Widow is a 1990s classic from the masters at Dutch Passion. Created by crossing a Jungle Brazilian Sativa mother and a hybrid father containing south Indian, this strain is a staple of Dutch coffee shops and seed banks. Her potency and appearance set her apart from the crowd, with a name reflecting both the white frosting of resin that covers plants and her hard-hitting effect. The original buds were rated as “exceptionally potent” by the Dutch Passion test-team, a group with predictably high tolerances, and their judgment has been borne out by repeated award wins. While slow to gain height and structure, White Widow’s growth in flowering is so vigorous plants occasion-ally grow buds on leaves. The side branches surrounding her massive main cola can become quite heavy with sufficient light. Dutch Passion recommends removing lower branches to allow the plant to focus her energy. Medium-strength fertilizers are fine, but this variety can take heavy feeding in the last month. 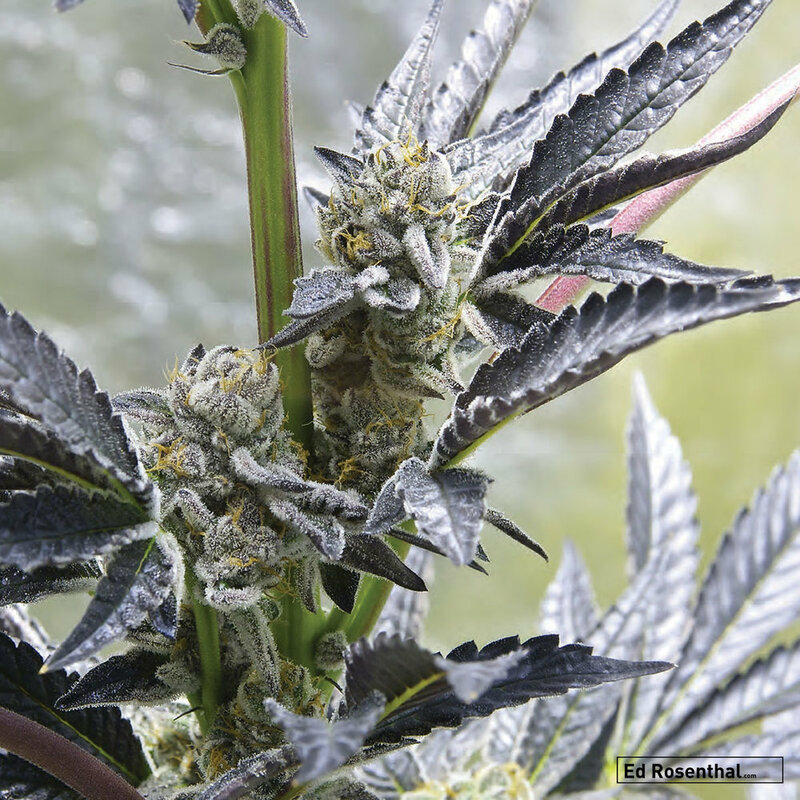 Light green leaves often go darker as resin loads up during flowering. Two days of total darkness before harvest maximizes the frosting. The light emerald green of her bulbous, oval buds contrasts with burnt-red hairs and a silvery sheen of resin for a look that shouts out, “vaporize me.” A forgiving indoor/outdoor variety that can withstand cold, heat, and drought, White Widow shows her best side under skilled hands in optimum conditions. The famously thick resin protects her from pests, though the discreet gardener will need to guard against her unmistakable stench. Most harvest after 9 weeks of a 12/12 light regimen. Once cured, White Widow’s garden stench translates to a pungent yet pleasant aroma and rich, fuel-themed flavors with hints of coffee and sometimes garlic. The hard-hitting high of White Widow is cerebral, with plenty of euphoria at the start. An “awake and up” type of buzz in smaller doses, sleepiness dominates as you get more onboard, especially 2-3 hours after onset. Delirious, blissful, detached effects enhance activities such as walking and listening music or visiting with friends. This cerebrally active strain is too much for reading books or watching complicated movies, but White Widow has good all-round medical properties. Yeti gets its name for its size and the geographical location from which it sprang in 2008. Bred in Bigfoot country, this Loompa Farms strain is a cross of an Underdog mother and a Black Domina x Snow father from Humboldt County. Dad was short and wide and a heavy yielder, while mom was crystal-coated and awesome. A lanky but dense plant with thin leaves, Yeti is very OG, producing buds that are long, fat, and quite compact. Yeti was bred to be a tall, branching outdoor strain, but she can also be grown indoors. Yeti grows in a mostly up pattern that needs good support for its many branches and pruning of the bottom ones. Loompa Farms recommends soil for this variety, but this strain is a glutton for feeding and puts on weight when you give her what she wants. Ripens in October in Humboldt. To ripen indoors, increase the dark period and change the temperature. Resists bud rot and loves heat. It is not difficult to grow, so it is good for a beginner or commercial grower, so long as the strong smell can be tamed or ignored. This strain has an earthy citrus aroma and a creamy, rich smoke with a smooth lemony flavor many connoisseurs rate top shelf. The strong Yeti high contains a nice combination of up and down effects, grabbing you on the first hit and holding on with a long-lasting, narcotic stone. Use caution if doing anything that requires concentration or has consequences if you can’t stay focused.